If you want to bring positive change to the world and secure a better future for yourself, consider getting an advanced degree. Here in the state of Washington, there is a shortage of people with graduate degrees. Many of the state’s leading industries, including agribusiness, aerospace, health care, software and construction, need employees with advanced degrees. They also partner with universities to support advanced education and research. And in locations around the world, university researchers and scholars – faculty and students alike – are making discoveries that address critical societal problems and increase prosperity. It’s no stretch to say that your graduate degree, no matter where you work, will likely have both global and local implications. It’s estimated that 40 percent of all jobs in the state of Washington are related to international trade. Local concerns are increasingly also global. Consider the threat of antibiotic-resistant bacteria. In the U.S., it’s usually seen in the context of hospital care. In Africa, the problem emerges in crowded slums and livestock farming. 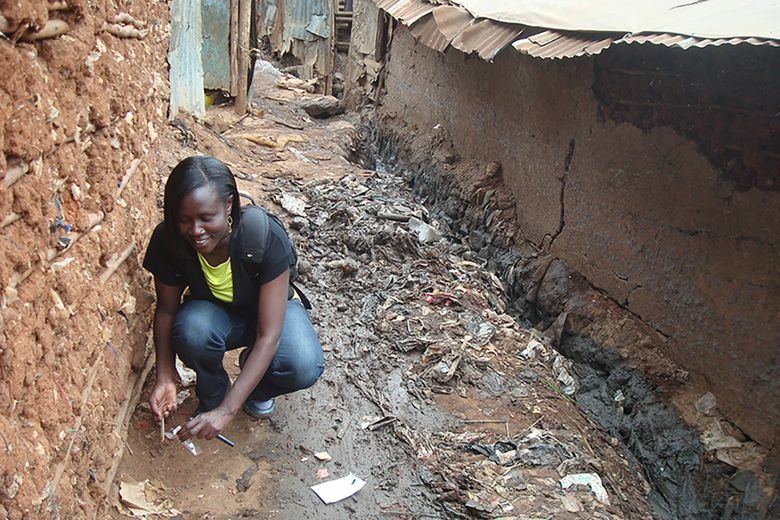 Sylvia Omulo has worked on understanding the problem in local contexts across the globe. Her education includes a bachelor’s degree in Kenya, a master’s degree in the United Kingdom, and a Ph.D. in the United States. Before pursuing her Ph.D., she began her career as a scientist with the Kenya Medical Research Institute/Centers for Disease Control and Prevention, hunting down the sources of infectious diseases and researching prevention methods. That’s when a new opportunity came knocking. University researchers were in the area to roll out an animal health project, and they invited her to visit campus in the U.S. Two years later, after finishing her work in the KEMRI/CDC program, she was studying for a Ph.D. at Washington State University. Today, she’s back in her native Kenya as a postdoctoral researcher, leading a multinational research effort to understand the emergence and spread of antimicrobial resistance. Graduate study is far from a one-dimensional pursuit. Advanced degrees are as diverse as the students who pursue them. If your interests cross the traditional boundaries between academic disciplines, you may need to do some additional searching, but whatever your goal, you can find a way to attain it. Every major research university offers a slate of interdisciplinary programs. When Mason Burley was considering a Ph.D., he searched out professionals who worked in the field he wanted to enter and asked them for advice on an educational path. One of them suggested the individual interdisciplinary doctoral degree program at Washington State University, which helps students form a course of study that draws on three different academic disciplines. Burley’s Ph.D. program focused on mental health treatment through the lenses of epidemiology, biostatistics, health administration and policy, and public health. Before graduation, he landed a position in which he uses the unique focus of his degree in the field of health outcomes research. The bottom line: If you have a passion for something, an advanced degree could be the ideal way to pursue it to the fullest. It may seem expensive at first glance, but advanced degrees can be surprisingly affordable. Many departments offer graduate research, teaching, and staff assistantships to students, which come with full tuition waivers, health insurance and a stipend. Research funding – including scholarships, grants, and fellowships – also is available through various programs. 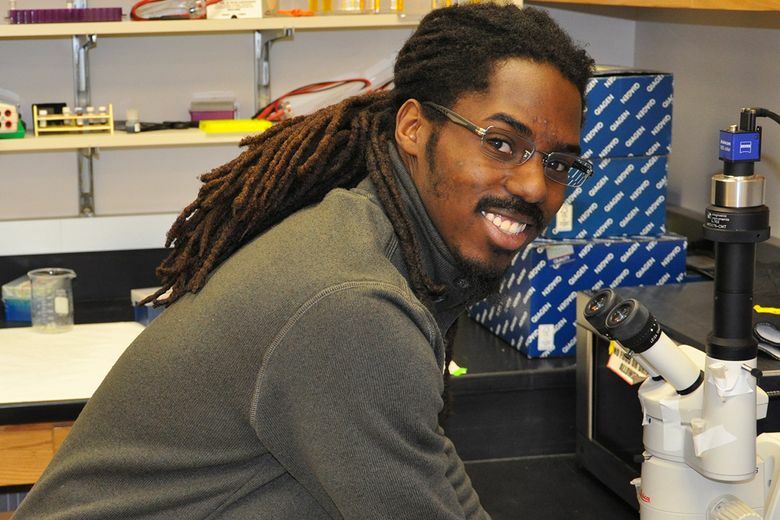 For instance, WSU entomology student Joseph Taylor has fully funded his research through an NSF Graduate Research Fellowship and other grants. His research assistant stipend defrays living expenses. And he’s on track to graduate with a minimum of debt. Advanced degrees also confer financial reward in the long term. Master’s graduates earn $11,000 more per year, on average, than those with bachelor’s degrees. Graduates with Ph.D. and professional degrees earn an average income of $92,000 to $100,000 per year. Washington State University offers 127 graduate and professional degree programs at five locations across the state: Pullman, Tri-Cities, Vancouver, Spokane and Everett. The Global Campus delivers degree programs online. Explore locations and degree programs at gradschool.wsu.edu.